About "Nets and surface area worksheets"
Worksheets on nets and surface area are much useful to the students who would like to practice problems on finding surface area of three dimensional shapes. 1. Find the surface area of the square pyramid given below. 2. A sculpture sits on pedestal in the shape of a square prism. 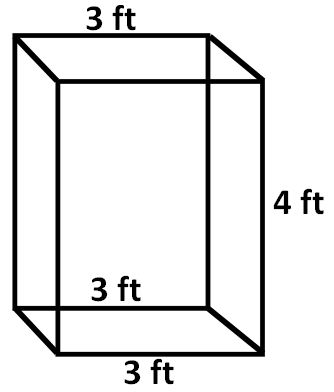 The side lengths of a base of the prism are 3 feet. The height of the prism is 4 feet. The museum director wants to cover all but the underside of the pedestal with foil that costs $0.22 per square foot. How much will the foil cost ? 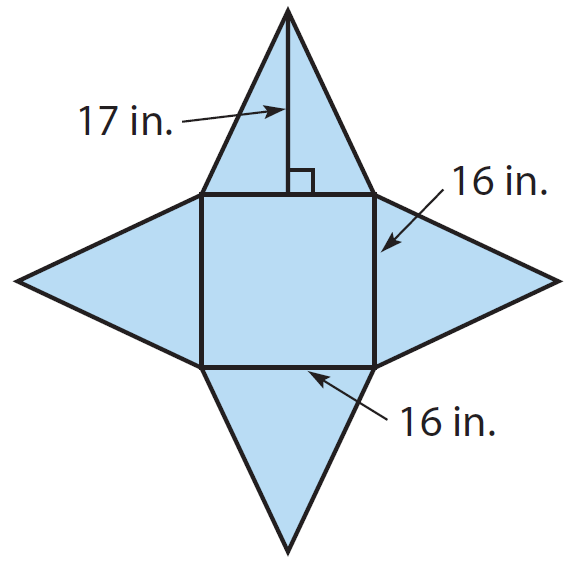 Find the surface area of the square pyramid given below. Make a net of this square pyramid, and use the net to find the surface area. Make a net of the pyramid. Draw a triangle on each side. 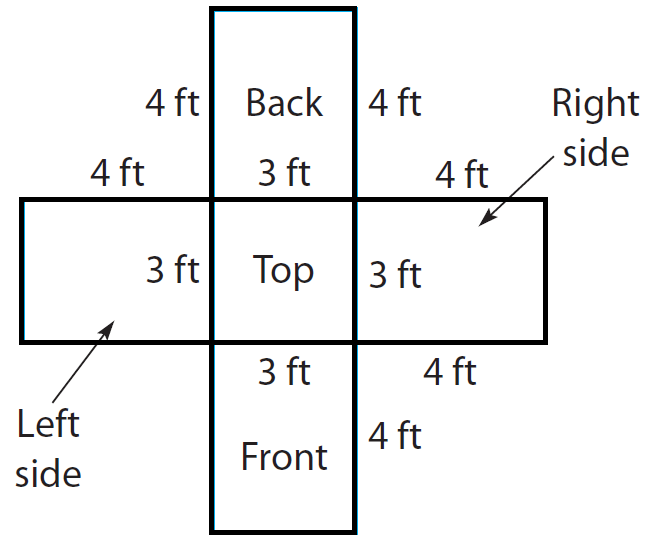 Use the net to find the surface area. There are four triangles with base 16 in. and height 17 in. A sculpture sits on pedestal in the shape of a square prism. The side lengths of a base of the prism are 3 feet. The height of the prism is 4 feet. The museum director wants to cover all but the underside of the pedestal with foil that costs $0.22 per square foot. How much will the foil cost ? From the given information, we have the following figure. Use a net to show the faces that will be covered with foil. 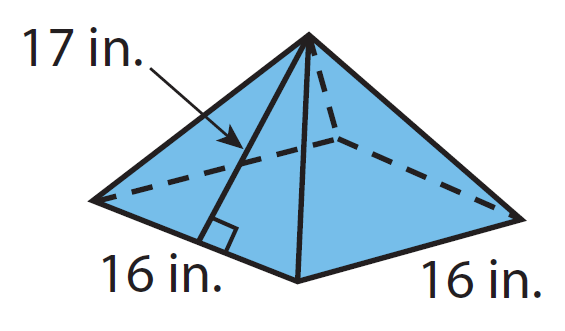 Draw the faces of the prism that are connected to the top. We don’t need to include the bottom of the pedestal. Use the net to find the area that will be covered with foil. The other four faces are identical. Find the cost of the foil. The foil will cost $12.54. After having gone through the stuff given above, we hope that the students would have understood "Nets and surface area worksheets".